A bug flew up my nose. But a bug flew up my nose. It must have thought my nose was a rose. Why else would a bug fly up my nose? A rose but a nose where it had got. As it navigated through each cavity. The bug found the exit, there he goes! The inside of an old man’s nose. This entry was posted in Poetry and tagged storytelling on January 10, 2019 by jerrycowling. “Violet, oh violet, so sorry my dear. “Violet, oh violet, this bed is not big enough. Then someone walked up and went ooh and ah. “The prettiest pot of flowers I’ve seen so far. “Petunias and violets, pretty purple and pink. “To plant them together in the very same way. 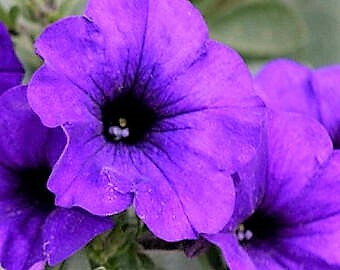 Petunia looked at violet and turned an embarrassed red. “It was mean of me to say you must leave this bed. Petunias and violets thrive in their flower bed. All it took was love and using their heads. This entry was posted in Poetry and tagged flowers, love on January 9, 2018 by jerrycowling. This entry was posted in Poetry, Videos on September 8, 2016 by jerrycowling. This entry was posted in Poetry on September 26, 2014 by jerrycowling.